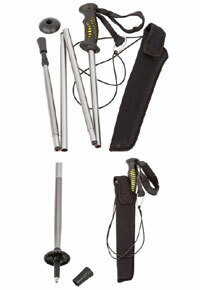 A selection of wading staffs including heavy duty, folding ,telescopic, extendable and collapsible wading sticks and accessories from Orvis, Snowbee, Vision, Fishpond. The 4 section design, locks firmly in place & tensions with a sliding collar, so the staff cannot collapse, even if you catch the rubber cap between rocks. 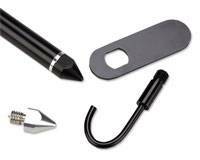 Remove the silent wading rubber cap & you have a hardened steel tip for extra grip & it comes with an optional screw on tip-cup to spread the load in soft sand, mud or snow. 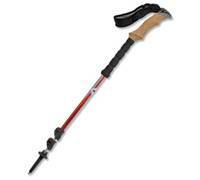 Ergonomic rubber handle grip, with adjustable wrist strap & detachable, elasticated lanyard. Packs down into a neat, neoprene belt pouch. 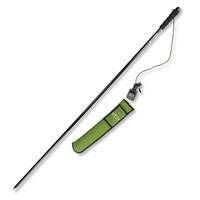 A tough, practical Wading Staff made from anodised aluminium. Telescopes down from a maximum 63 to a convenient 34 for travelling. 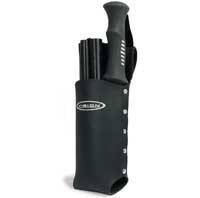 The Twist and Lock mechanism allows it to be locked at any required length. Weighted foot with rubber grip. 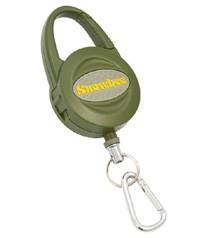 Rubberised handle with adjustable lanyard and clip. Weight: 20oz. A new version of Snowbee's popular, original model, but marked with depth markers, up to 140cms. Popular with fire brigades for H&S reasons, but just as useful to the angler, when you need to know if the next step could be out of your depth. your choice of rubber or carbide tip for the ultimate in stability. Manufactured to our own, exclusive design, our new heavy duty zinger can be used with large nets, such as Salmon Gye nets, as well as wading staffs. 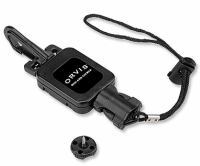 The 54 Kevlar cord can be locked at any position, so a wading staff or landing net is always attached to you, but at a convenient distance. 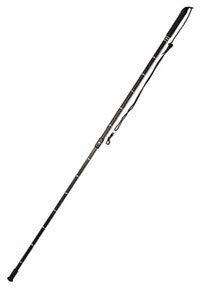 Our premium designed folding seven section wading staff is reliable and made of strong aluminium. It straightens out automatically when removed from its holder. 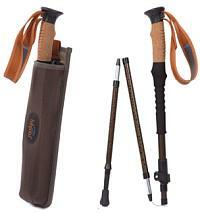 It has a new ergonomically shaped handle, and double elastic strap. Weight can be added to tip. Total length opened 59" and closed 10".